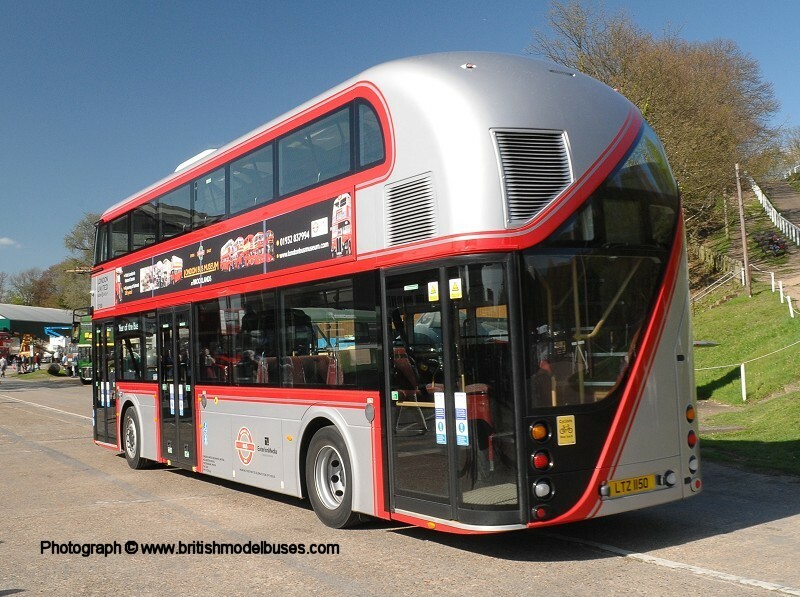 This photograph was taken at Brooklands Runway (on a very wet day) during the London Bus Museum Spring gathering on Sunday 29th April 2012 and shows LT1 (LT61AHT). 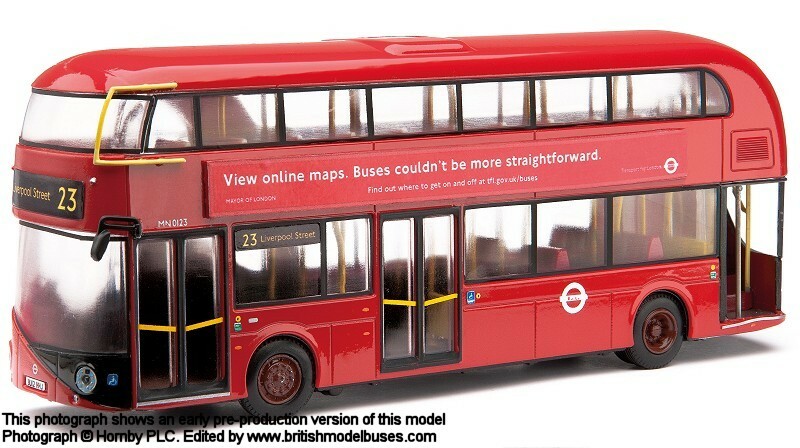 This is the actual vehicle and livery represented by Corgi OOC model OM46601. 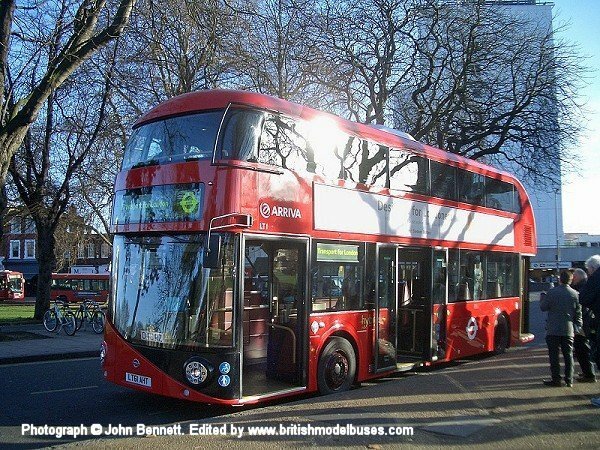 This photograph was taken at Haven Green, Ealing on Friday 6th January 2012 and shows the nearside view of the above. 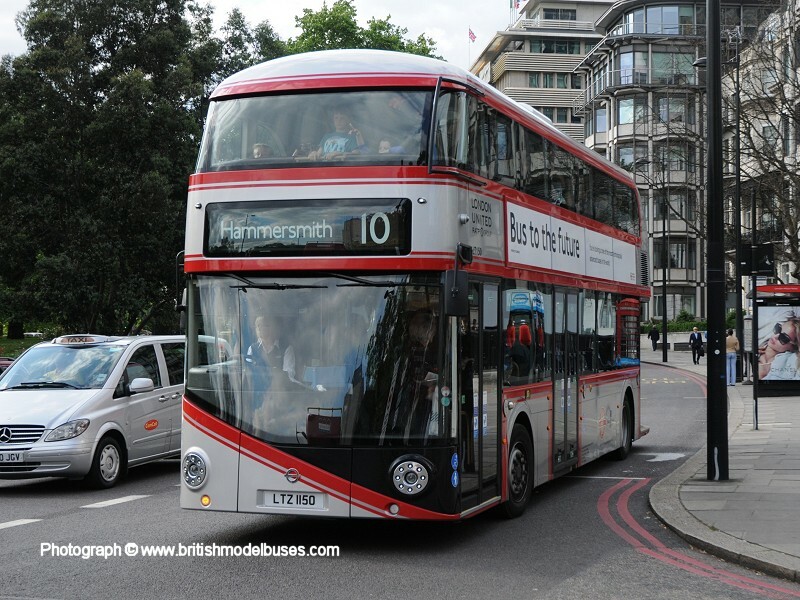 This photograph shows LT1 on service far away from London. 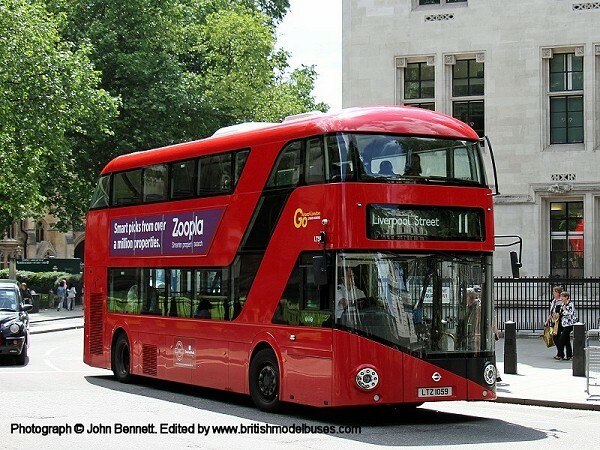 It was taken at Warminster, Wiltshire on June 4, 2012 when on hire to Bath Bus Company for their one-day-a-year Imberbus service 23A from Warminster to the "lost" village of Imber on the military's Salisbury Plain battleground training area! 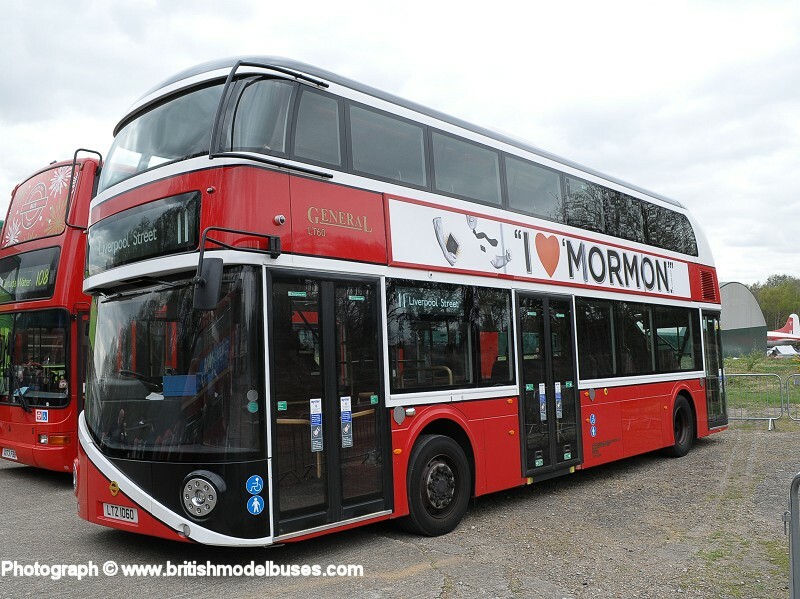 This photograph shows the rear nearside view of the above and was taken on 27th February 2012, just after completing its first service run. 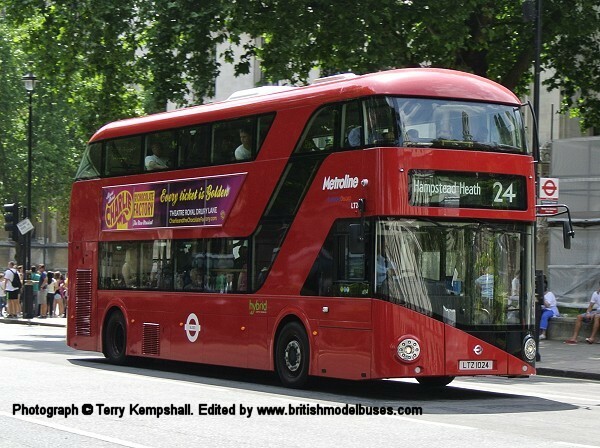 This photograph was taken on 22 September 2012 and shows LT4 (LT12DHT). 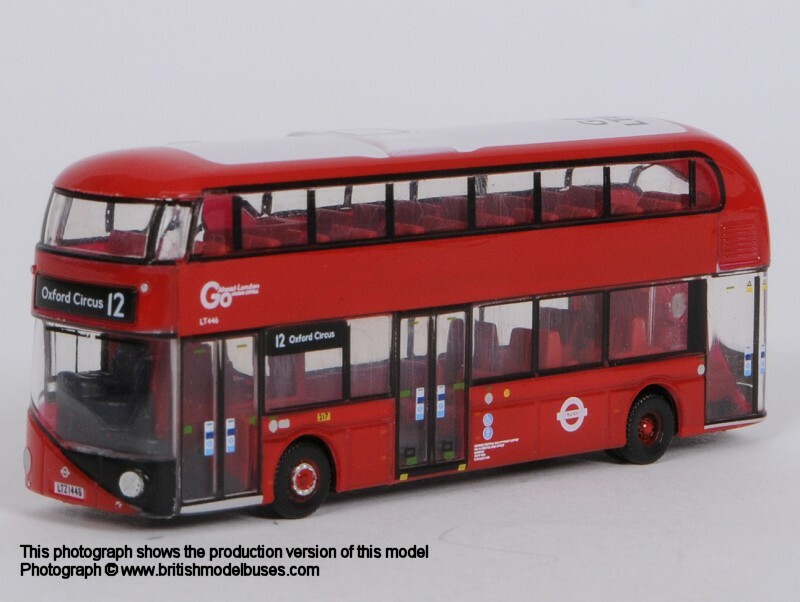 This photograph shows LT6 (LT12FHT). 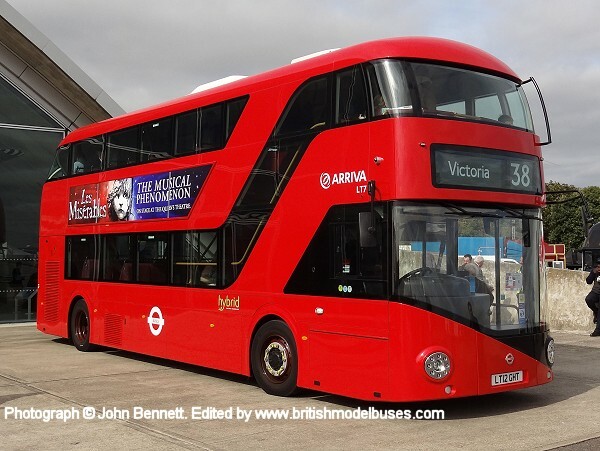 This photograph shows the rear nearside view of the above with open rear platform doors. 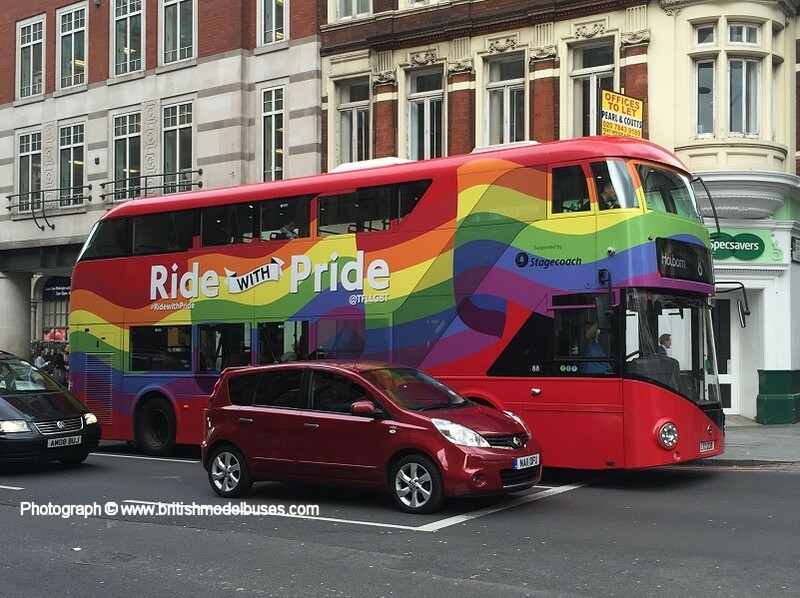 This photograph was taken in Parliament Square on 28th November 2016 and shows fleet number LT446 (LTZ1446). 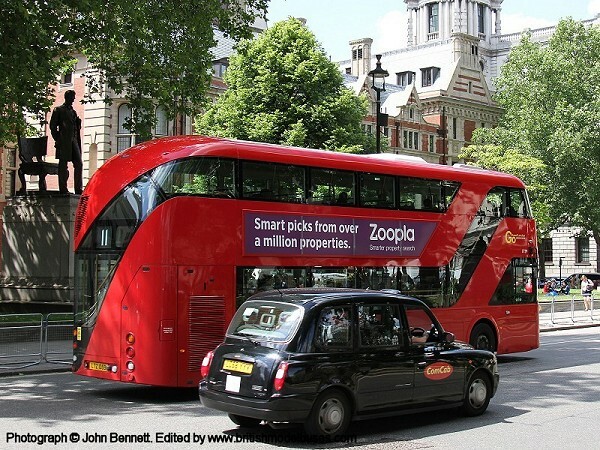 This photograph was also taken on 5th June 2014 in Parliament Square and shows a second view of the above. 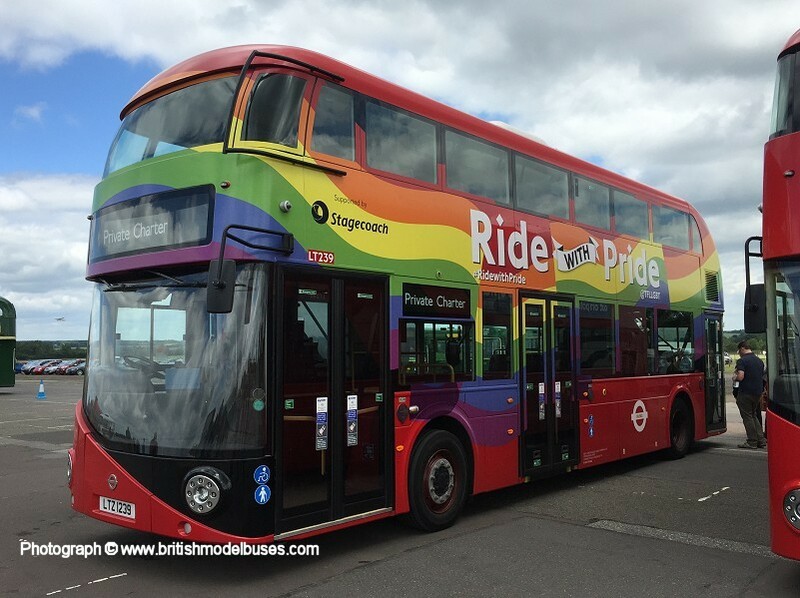 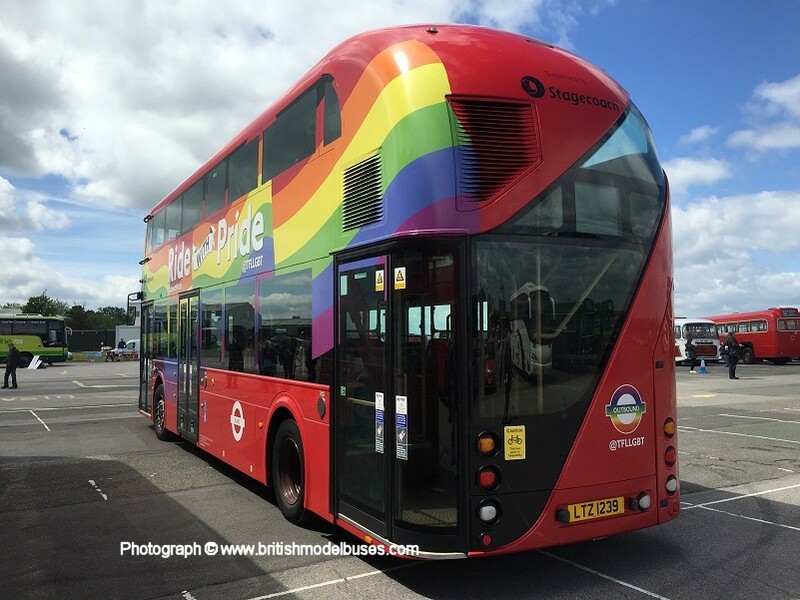 This photograph was taken on 19th April 2015 at Brooklands (London Bus Museum) and shows LT60 (LTZ1160) in a "Traditional" livery. 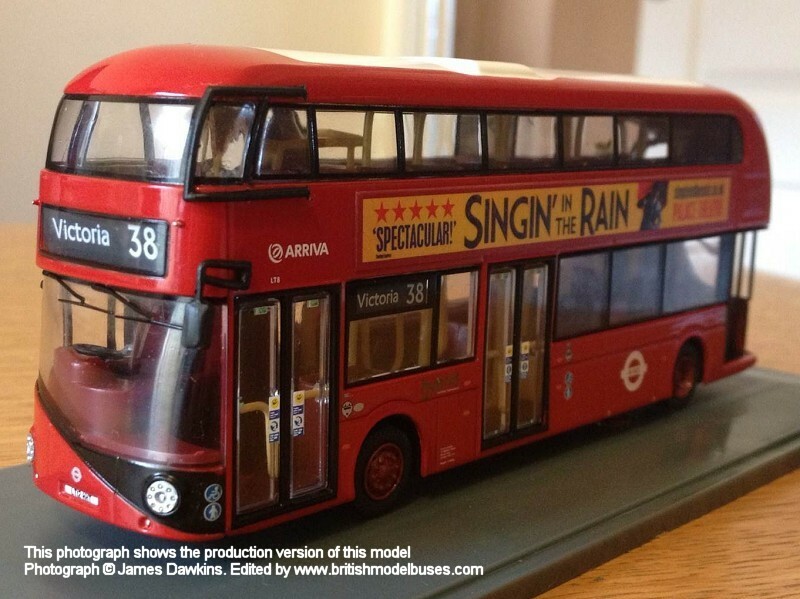 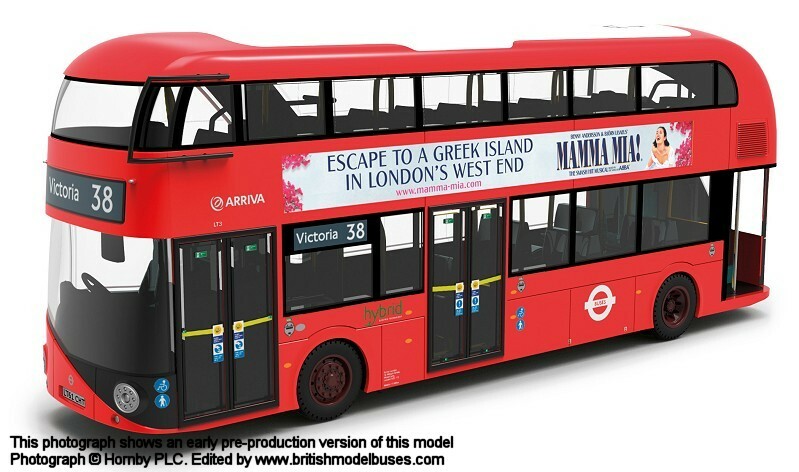 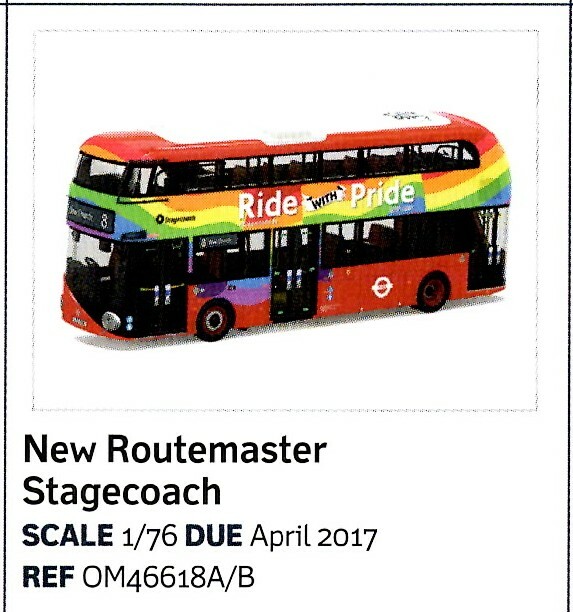 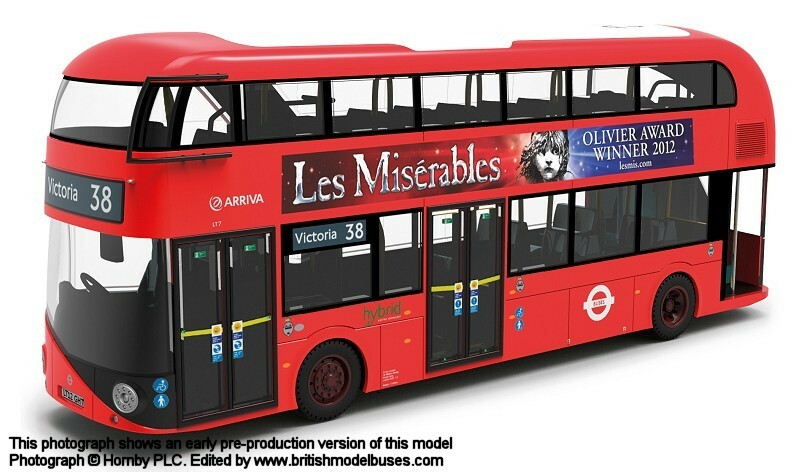 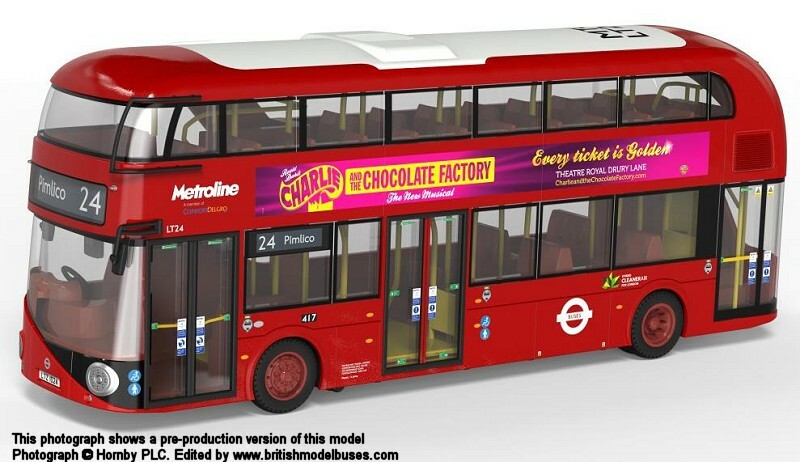 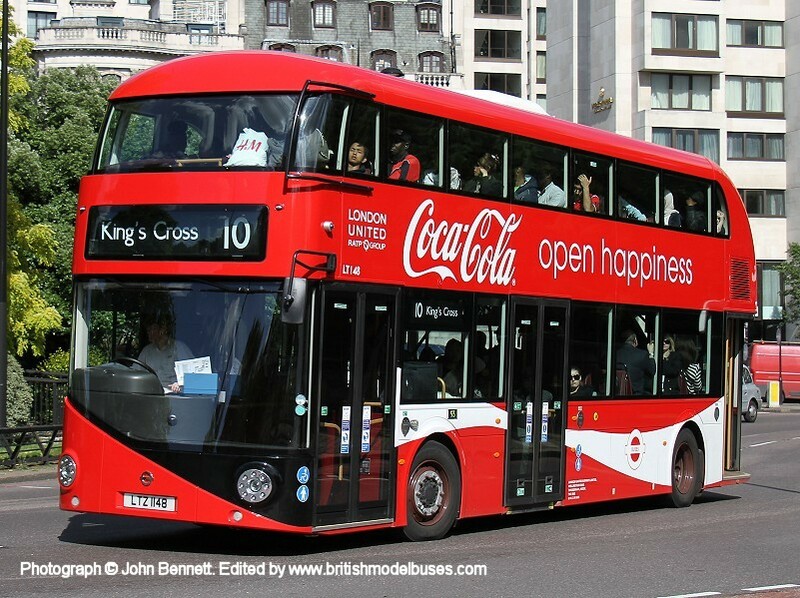 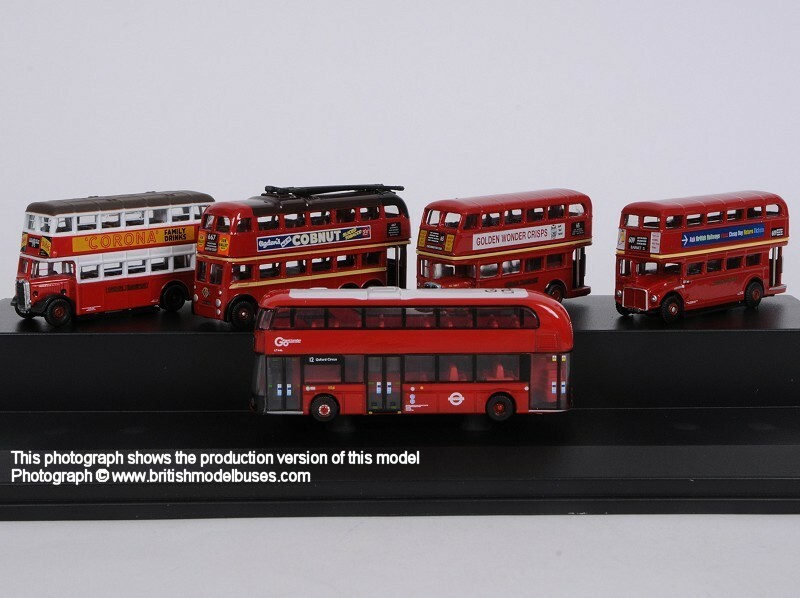 This is the actual bus and livery to be represented by Oxford Diecast model NNR001. 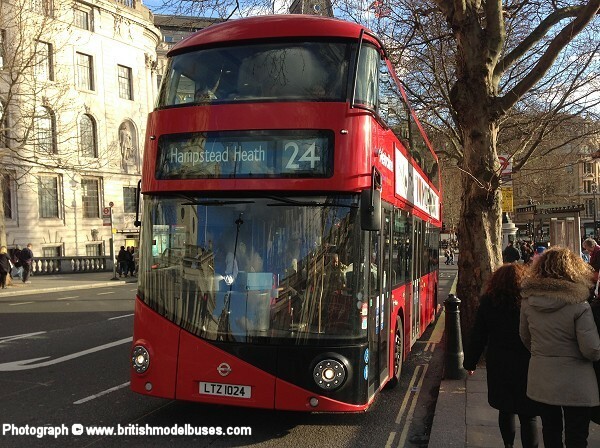 This photograph was taken at Westminster on 13th July 2013 and shows LT24 (LTZ1024). 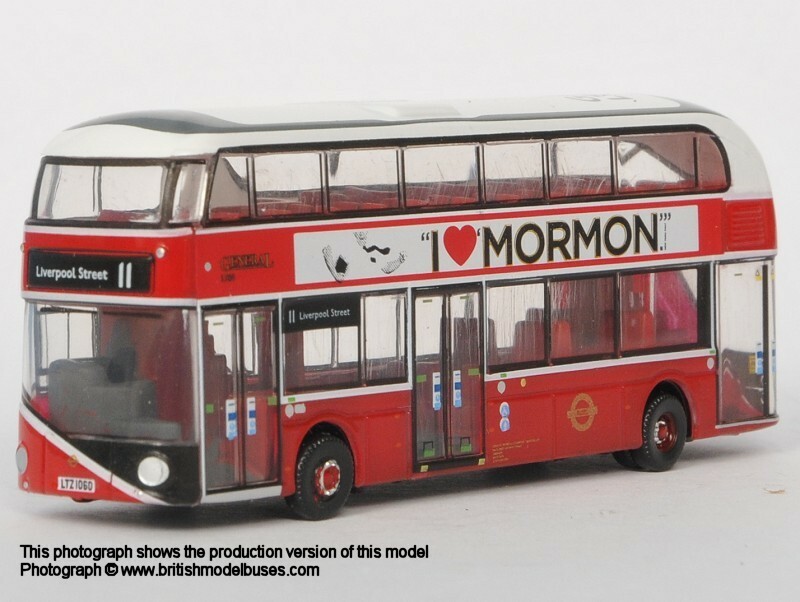 This is the actual vehicle to be represented by Corgi models OM46609A&B. 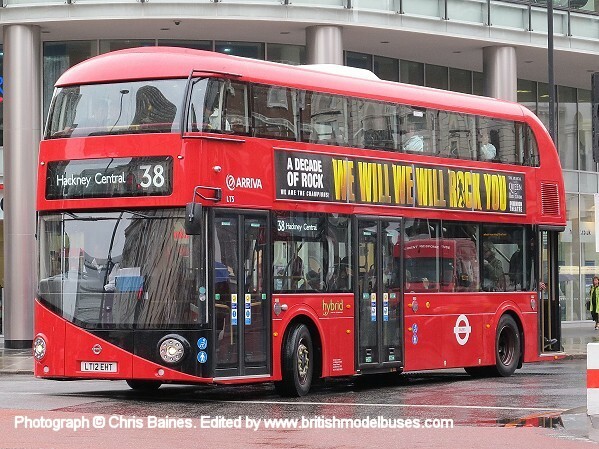 This photograph was taken at Trafalgar Square on Friday 28th February 2014 and shows the nearside view of the above. 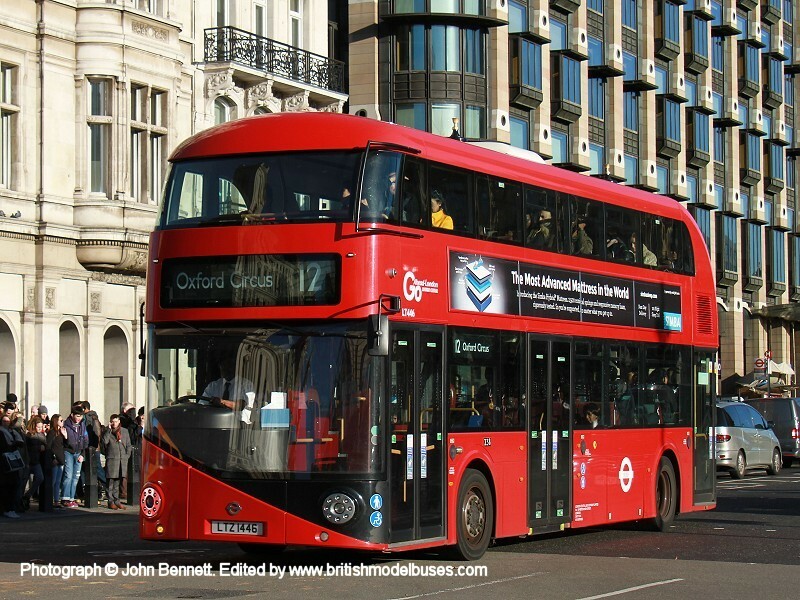 This photograph was taken outside Liverpool Street station and shows the offside view of the above.